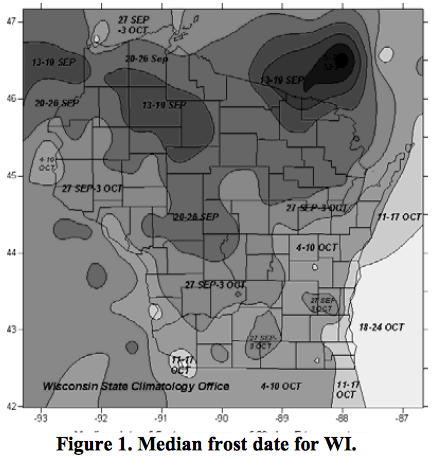 Research from the 1990’s in southern Wisconsin indicates that in two out of three years, grain can be harvested from soybeans planted as late as June 26, although the yields are usually minimal and not generally economically feasible. 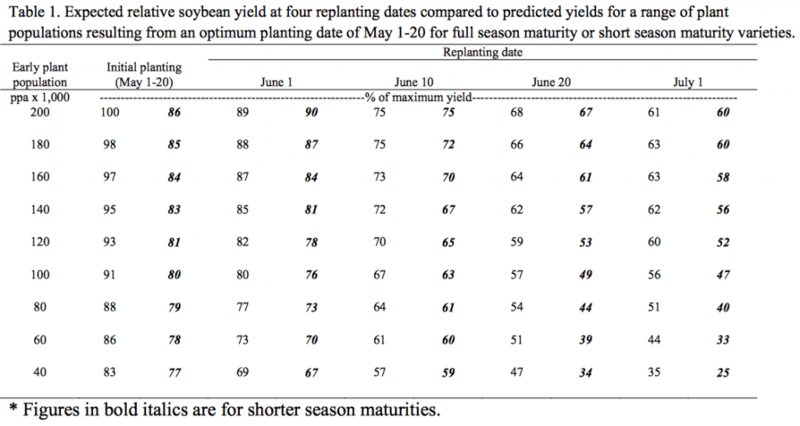 The frequency of harvesting grain from soybeans planted this late can be increased by using early maturing varieties (<1.8RM) in southern Wisconsin, and <1.0RM in northern production areas. A planting date of June 20 in southern Wisconsin and June 15 in northern Wisconsin, using early maturing varieties, was considered to be the latest practical date. However today’s grain prices coupled with opportunities for late-season discounted treated soybean seed may entice growers to push the planting date window in 2014. 3. What should my target plant population be in my late planted soybeans? To maximize yield potential in late planted soybean, growers should target a stand of 180,000 plants per acre in row spacing’s ≤ 20inches. Wider row spacings and reduced plant stands will lead to reduced yield potential due to decreased canopy development. Planting too few seeds can also lead to a lower physical pod set and harvest issues. To achieve 180,000 plants per acre a grower may have to plant up to 200,000 seeds per acre (assuming 90% germ).